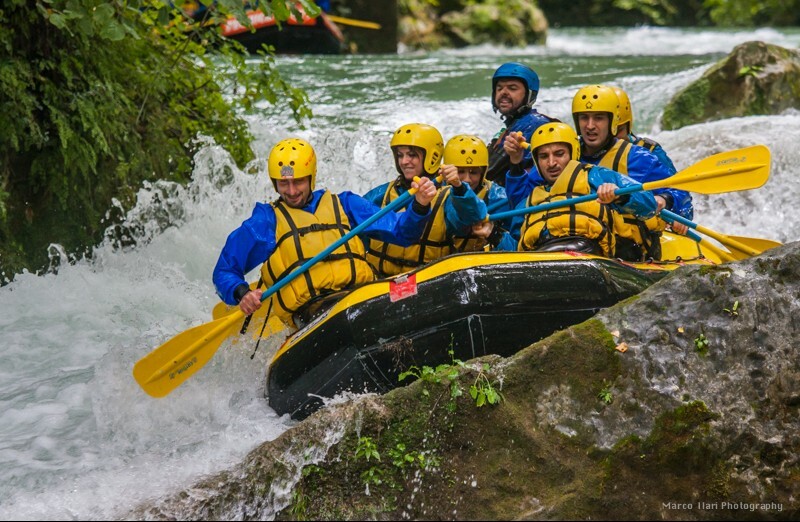 The Marmore Falls, real jewel of Umbria near Terni, is an ideal place for rafting: an exciting descent with rubber dinghy. Here Nera River runs fastly on the rocks for more then 3 kilometres with falls and into a wild nature. Doesn't need a training for this activity: only you have to able in swimming and have you being in good physical conditions. Provided equipment Shoes and wetsuite in neoprene, life jacket, paddle, safety helmet. Minimum age 18 to 60 years old. Requirements To be able to swing. Maximum weight: 100 kilogrammes. Minimum age : 14. People under 18 have to carry with them an authorization signed by parents and they have to be chaperoned by their parents.